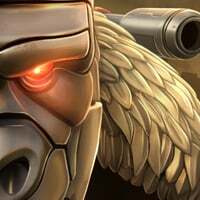 Is today’s Gold bundle worth buying or should we wait ? Is there gonna be a Bumblebee bundle? If there is maybe you should wait for that. Then again, it's up to you. I'm on the fence about this too. It's semi-tempting if you have energon to spare and lacking gold. Gold is needed for upgrading bots; I currently have an "excess" of ore and have been selling some ore. So are ya going to buy the gold bundle? Gold seems to be the easiest resource to get in this game (at least for me) so I usually pass on these deals and save the energon for more permanent things like sparks, programs and bots. A little less than 22 hours to decide, 500K of gold (100K gold for 100 energon is the breakdown), plus 10 gold crystals (which equate to at least a minimal of 22K). I am about 70% leaning towards it. To be honest, I'd rather use 500 energon to buy this bundle than 300 energon to buy the Factual Crystal. One buys 2 Factual Crystal for 600 energon with no guarantee you'll end up with Jetfire. Also to keep in mind, one may need energon for repair / revive during AM. I used to get it without blinking my eyes but now that I have stored 3000+ Arena Crystals I don't think it's necessary. @Jazz444 I look at this way, for the semi newer players trying to catch up to the old and decrepit people like @Synthwave (ps joking I love your YouTube channel) I think it’s worth it. So as of now because of it being easier to obtain T3C shards we can catch up to the old timers with our 5str bots and rank them up quicker as long as you have the T2a to go along with them. As of right now I have 9 T3B and 6 T2a that I have bots just dying to rank up. Now I have that opportunity. I will hold onto the gold for about a week though to make sure kabam doesn’t do some sort of rank up bots thing to get a bumble bee. Not sure if them offering the gold is a preemptive thing for a Alliance event or not just trying to cover my bases. I bought it, always in need of gold. Trust your instincts, you know whether you need it or not. These folks could be in a totally different spot, in and out of game. @Jazz444 yep I bought both tiers of the gold. Now I’m just trying to decide rank up dup 4stars or start working on my 5 stars which are only all undup and it’s a megatron bayverse, soundwave, and of course ultra magnus. Bought it, because it's reasonable for my personal case. With the gold, I can now rank up some bots and use them to help me gather even more resources. To me it depends on how much your able to keep on hand. An example, when this deal first came out I got it because I could barley hold 300k gold even popping all my arena crystals. Often with it being gone by the next day. Now that I don’t really level anything I useuallg have around 3 million on hand at any given time (not much compared to others I know, but that’s not the point). So it isn’t worth it for me anymore. If your leveling bots you’ll use and need gold I would grab it, if not or your leveling them just so the have a pretty number under them I would pass on it. I have been buying all gold deals so far but I’m hesitating on the deal this time too. I usually like to hover around 5k energon but I blew some energon on the previous mastery cores sale so now I’m around 4K energon. I’ve already explored master spotlight so can continue to farm the other spotlights for more energon. However I’ve ran out of ore currently, and I have no intention of opening any crystals until more news of Bee event comes out. I don’t want to buy the gold deal now because I don’t want to see my energon dip below 4K. So I think I will pass on the gold deal this time, even I’m someone perpetually gold broke. Between exploring master or gold, would recommend exploring master. Cos master would give you T3A which is hard to obtain, whereas gold you just need to grind.